100 Zigzag themed brushes / images files in PNG format, all for commercial use, all royalty-free. 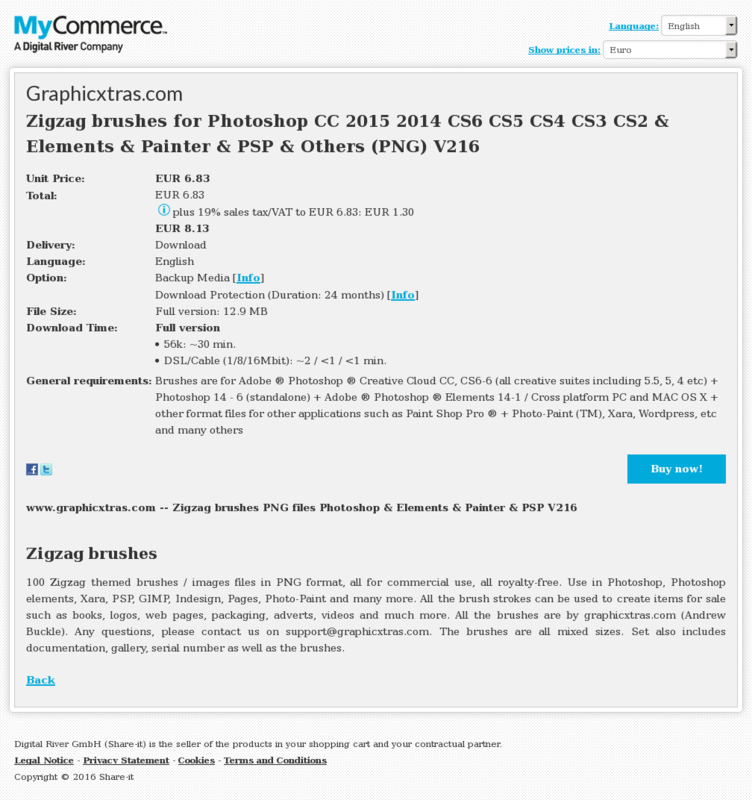 Use in Photoshop, Photoshop elements, Xara, PSP, GIMP, Indesign, Pages, Photo-Paint and many more. All the brush strokes can be used to create items for sale such as books, logos, web pages, packaging, adverts, videos and much more. All the brushes are by graphicxtras.com (Andrew Buckle). Any questions, please contact us on [email protected] The brushes are all mixed sizes. Set also includes documentation, gallery, serial number as well as the brushes.